After the launch of the new iPad Pro third generation , Apple is already preparing the marketing of two tablet models for 2019. We are talking about a 10-inch iPad and an iPad mini 5 , two versions that will be, a priori, much more economically affordable than their older brothers with an 11 and 12.9-inch screen. 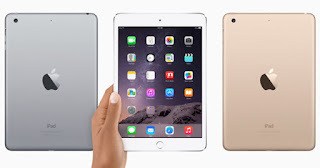 The information has so much credibility and reliability that, in fact, Apple has already registered the iPad 2019 and iPad mini 5 in the Eurasian Economic Commission. 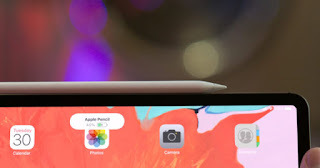 From Macrumors ensure that the iPad mini 5 could have compatibility with the Apple Pencil (we understand that second generation) and the Smart Keyboard. Therefore, it is very likely that this small tablet reaches the market with a flat-edged design , such as the third generation iPad Pro. But with start button. "IT SEEMS THAT BOTH SIZES OF IPAD WILL HAVE SUPPORT FOR SMART KEYBOARD AND PENCIL, BUT IT IS POSSIBLE THAT NONE OF THEM INCLUDE TOUCH ID (OR FACE ID). DIFFICULT TO IMAGINE APPLE SELLING A PRODUCT WITH TOUCH ID UNLESS IT WAS FOR MORE MONEY. " "BE THAT AS IT MAY, IT SEEMS THAT THE NEW IPAD WILL HAVE A TOUCH ID, AT LEAST, SO THIS IS A BIT MORE SPECIFIC." As far as we know, both the iPad (2019) and the iPad mini 5 will have the classic design with physical start button. We'll have to wait for more rumors to see if this is confirmed.